Career Closet is a nonprofit organization that lends a hand to women wanting to get back into the work force. Whatever challenges they face—poverty, being a single mother, or lacking experience—Career Closet helps set them on their way to landing a job they can be proud of. The first step to a good career is confidence, and yes, it may sound silly but appropriate work attire is part of that confidence. Women come to Career Closet for personal consultations and access to affordable clothing to create the perfect working wardrobe. In April and June, SVRG will be volunteering at several Career Closet events. You will find SVRG skaters working the April 9th Closet Sale, assisting shoppers in finding the perfect fits. SVRG will also be participating in wardrobe consultations, helping women find styles that are both professional and fashionable. Everyone knows a roller girl has impeccable taste! 1) Cash donations are always welcome. Cash can be used to purchase clothing and expand the program operations, allowing Career Closet to serve more women. 2) Do you have some gently-used clothing that just doesn't fit anymore? Donate it! Items that are new or lightly used are always appreciated. 3) Volunteer! Every women likes to hear the words, "You look fabulous!" Spend an evening helping clients pick out clothing, and encouraging them to feel confident about themselves. It's amazing what a new outfit and a little encouragement can do for someone. 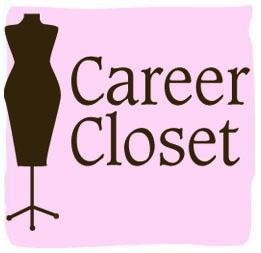 For more info on Career Closet or to get involved visit their website.